Embrace the concrete trend without the issues concrete brings. 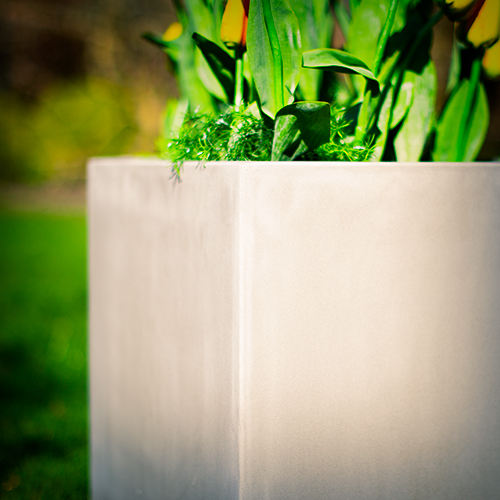 Concrete planters vs Glass Reinforced Plastic (GRP) Concrete Effect planters. 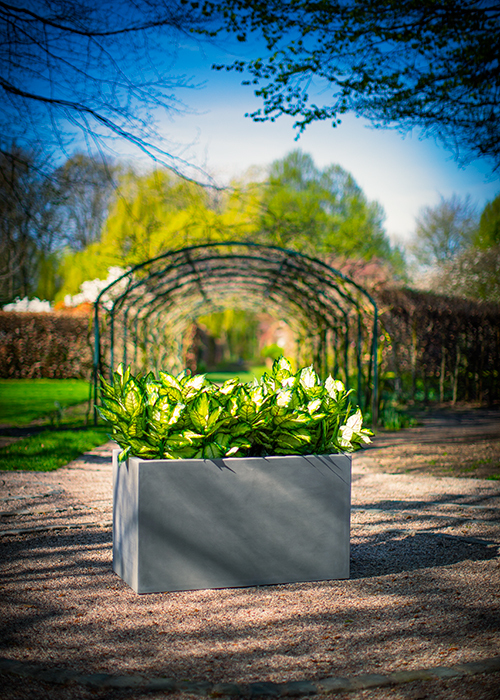 Concrete planters are very heavy and whilst this can be ideal for barrier troughs (although as concrete is not flexible it would not stand up to impact damage very well), shipping costs are also likely to be high too. Concrete wouldn’t work so well on a roof terrace, for instance where weight bearing can be an issue. Also, when planted up the additional weight would make the planters near on impossible to move on the ground without the aid of heavy machinery. A suitable alternative to concrete is GRP which much lighter, making it easier to move and cheaper to transport and just because it’s lightweight it doesn’t mean it’s any less durable. GRP is frost proof, rust proof and rot proof too. 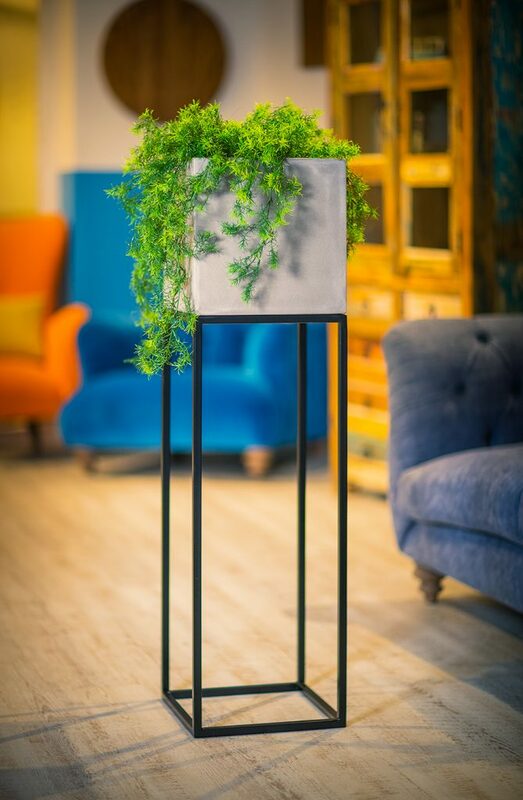 Concrete planters absorb heat, therefore they are good at insulating plants roots against frost and protecting them from the baking heat of sunlight. Polystyrene will also do this in planters made from other materials. It is almost impossible to add drainage holes to concrete planters after they have been made, without damaging them. Therefore plants that are in these type of pots without drainage are more likely to suffer from root rot, unlike GRP where drainage holes can simply be added by using a drill. It is also very difficult to know if a concrete planter has gone through the proper curing process. If it has not, this will impact the alkalinity of plant soil. GRP is an inert product, therefore it will not release any plant harming chemicals. Concrete is porous, which results in water evaporating too quickly out of the soil and drying out plant roots unless plants are maintained frequently. GRP is non-permeable and will hold water if it has no drainage holes. At Europlanters we can make GRP to imitate the look of almost any material and our GRP smooth concrete planters look is just like the real thing but with all the benefits of GRP. 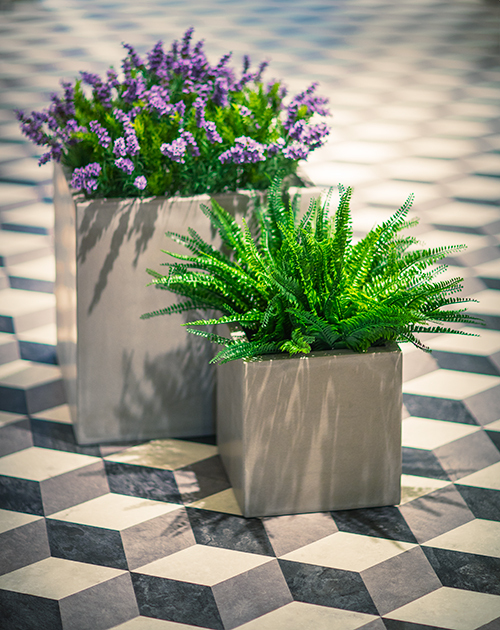 All the above images are Europlanters GRP concrete effect planters.